The year’s major tech events are over but the smartphone show is far from done. In fact, it seems that many of the major OEMs actually skipped them, preferring to have their own stage. Amusingly, they all decided to do it next month, which means it will just be as busy as IFA a few weeks back. So to help you navigate through and schedule the next two to three weeks, here’s our guide to the smartphones that will be making their debut in October. LG actually already let the cat out of the bag. Somewhat. Just a few hours ago it “pre-announced” the LG V40 ThinQ. It confirmed the triple cameras, all arranged in a row in the middle of the smartphone’s back. There’s also a traditional fingerprint scanner at the bottom. LG also talked a lot about its soft and smooth and hopefully not slippery reinforced glass back and mentioned, almost in passing, the large 6.4-inch screen. It didn’t mention the notch, though that is already expected anyway. It didn’t spend so much time on the specs either. After all, it was just a teaser. And it’s also going to be exactly like the LG V35 ThinQ anyway. All that’s left to find out is what those three cameras will offer in this rather aggressive smartphone camera market. Android fans will, of course, be waiting for Google’s own take on what an Android smartphone should be. That is always interesting, especially when it doesn’t exactly coincide with what users want. That has been the case before with things like expandable storage and that may yet again be the case with a deep “bucket” notch. That notch will definitely be a sticking point for many Android fans, even Pixel fans. And Google’s refusal to put a second camera on the smartphone’s back. 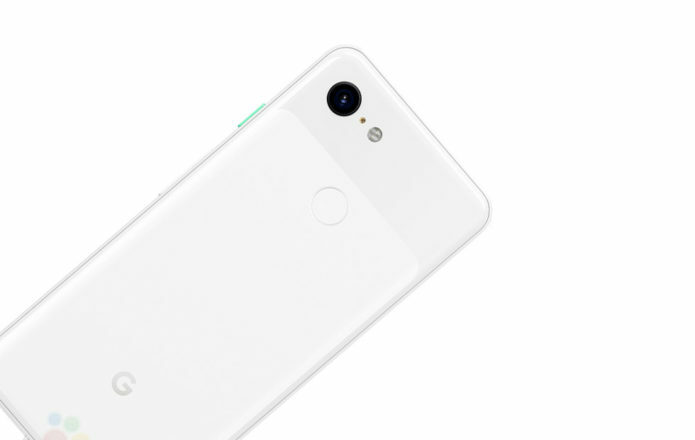 But there might be a second camera on the front, which would be odd, at least for Google. The tech giant is also set to announce its own smart display product, the Google Home Hub, to go with the Pixel 3. It’s a fairly niche market and, while discusses a lot, smartphones designed and dedicated specifically for mobile gaming seemed to be just that. A niche. It seemed, however, to have worked wonders for Razer to the point that it credited the Razer Phone for creating a bump in its profits. Naturally, it wants to follow it up. The question is whether the Razer Phone 2 will offer something gamers will drool over. Its 120 Hz refresh rate is still uncontested but ASUS, whose ROG phone has yet to actually land on shelves, claims its 90 Hz is more than enough. Razer might endow its second smartphone with some fancy Chroma lights but little else has been tipped to have changed in the Razer Phone 2. Samsung finally gave its response to Huawei’s challenge, but it’s answer was not what some may have expected. It put its first triple camera system not on a Galaxy S phone but on the new Galaxy A7 (2018). But it didn’t stop there and is going to beat Huawei at its own game. It has scheduled “A Galaxy Event” that promises “4x Fun” and everyone’s guess is that it will reveal the market’s first quad-camera setup. Not two cameras front and back but practically six in total (2 front, 4 back). The sensors won’t blow anyone’s mind probably but they’re expected to be at least decent. Whether those four different lenses will make sense, however, is a different question entirely. Admittedly, next to the Pixel 3, Huawei’s Mate 20 Pro is bound to get the most attention. Part of it is Huawei’s own marketing campaign that mocks Samsung’s and Apple’s attempts at a “generation upgrade”. Part of it is also because of Huawei’s rise as the second biggest smartphone maker and its ongoing struggles in the US market. There are, of course, also technical reasons to be curious about the Mate 20 Pro. The new square triple camera design is bound to raise eyebrows. Its new wireless charging feature, which can charge its AirPods clone, and new fast charging tech will also be interesting to see in action. Huawei has definitel hyped itself up and it will be interesting to see if it didn’t set itself up for failure. The OnePlus 6T might be interesting for the completely different reason. It will be the first OnePlus in the company’s five-year run to dispose of the headphone jack. It’s like when Google made fun of Apple’s decision, only to follow that same path the next year. It won’t all be that bad though. The OnePlus 6T is also going to sport an in-display fingerprint scanner and a tinier notch. It might also be the first OnePlus to be made available from a US carrier, marking its serious entry into the US market, something Xiaomi has yet to do after years of promises. Who said you need CES, MWC, or IFA to have an exciting month? All you need is for smartphone makers to decide, intentionally or otherwise, to all make announcements on the same month, just days from each other. Suffice it to say, October is going to be just as packed as those big three months, giving buyers plenty to think about before the shopping season starts.